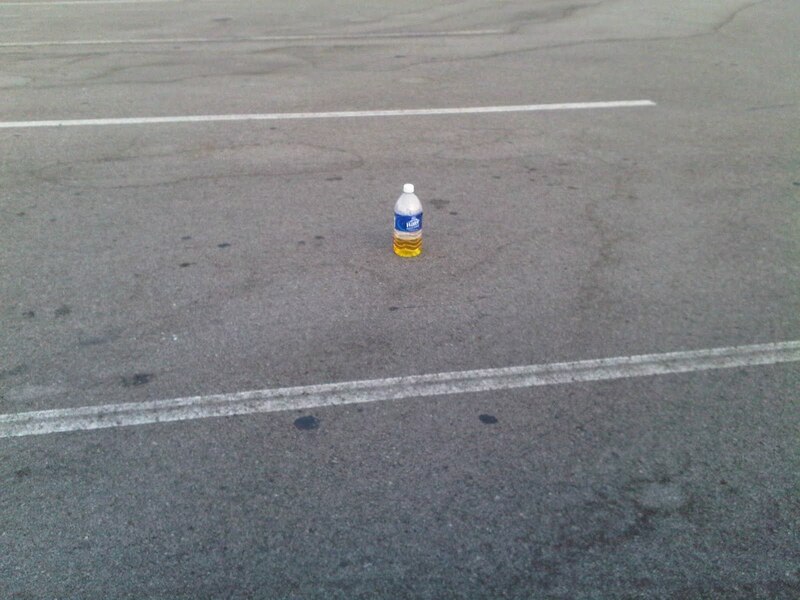 The person who left this large, suspicious-looking bottle in the middle of an empty parking lot ____________. is pretty sure that the drug screening lab said to leave the sample RIGHT here. bears the initials L.K.J. She obviously couldn't make it up the stairs to her apartment, so she relieved herself in the empty bottle sitting in her Toyota floorboard. 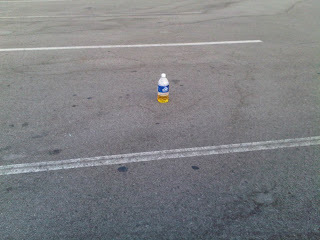 you think the mystery urinator drinks water much?